The toughest time for our indoor plants is usually this time of year. Before the light has fully returned, after a long time in darker and dry climate. Wait for a few weeks to start fertilising and gradually increase the dose of both water and nutrition. Shower the plants occasionally and mix pine oil soap and water to spray them if they suffer from aphids or spiders. PINE OIL SOAP SPRAY MIXTURE: Mix 0,5 dl YARD Etc Pine oil soap + 4,5 dl water (= ½ litre soap solution). Spray the plants 2-3 times a week with one week in between. 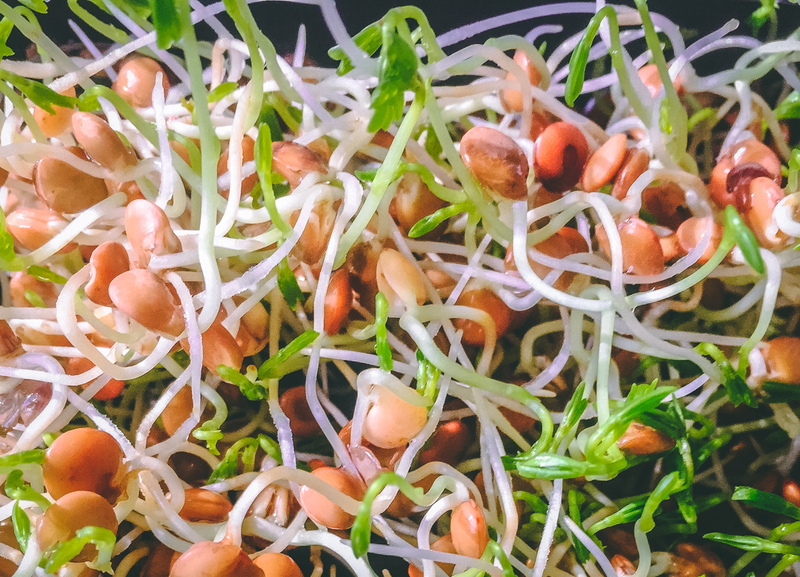 Longing for spring – Growing sprouts! This time of year we really long for dwelling our hands in the soil. Growing sprouts relieves the longing a little while waiting for proper spring. Good, wholesome (lots of fibres, protein, vitamins and minerals) and almost ridiculously easy to grow. We sprout lentils, mung beans and alfalfa. Also peas, buckwheat and quinoa produce great sprouts. Simple, but not necessary, is to buy a so-called “sprout-box”. Keep on gardening! Discovered that these quale eggs colour-matched the tube of YARD Etc’s hand cream so nicely! The quail egg is a really beautiful and luxurious egg that is boosted with healthiness. Boil for maximum 2.5 minutes (from when the water starts to boil). It’s not hard to peel if you roll it on the kitchen counter first and then pinch the inner membrane and pull off. We used quail eggs as the crowning in a smoking hot ramen soup with noodles, cabbage and kelp algae, yummy!